Can a conflicted dive leader keep from drowning amidst a midlife crisis, a breakup, an attempted murder, and the changing of his beloved Hawaiian paradise? Ravi Rockulz is a dive leader in Hawaii with good friends, good times, and plenty of willing female tourists. But something is missing, and rapid development is displacing the magic of his island home. The influx of new residents seeking paradise and demanding modern conveniences is making things painfully similar to that scab on the earth: Los Angeles. An unexpected heartthrob enters and leads to sudden growth in a breakup and attempted murder. It’s enough to push a guy out of his rut: Tahiti calls, untrammeled and pure. Rediscovering reef love, passion, and a keen eye through a lens, he seeks artistic expression. He captures aquatic life and social order in compelling portraiture, along with vibrancy and abundance long gone on the reefs of Hawaii. A mother-and-child duet of Moorish idols, brightly banded coral shrimp the local divers take for granted, Pyramid butterflies in a hundred-foot column, and massive muscular sharks at Rangiroa round out the spiritual flight. Reefdog delineates the tide rip between business and nature. 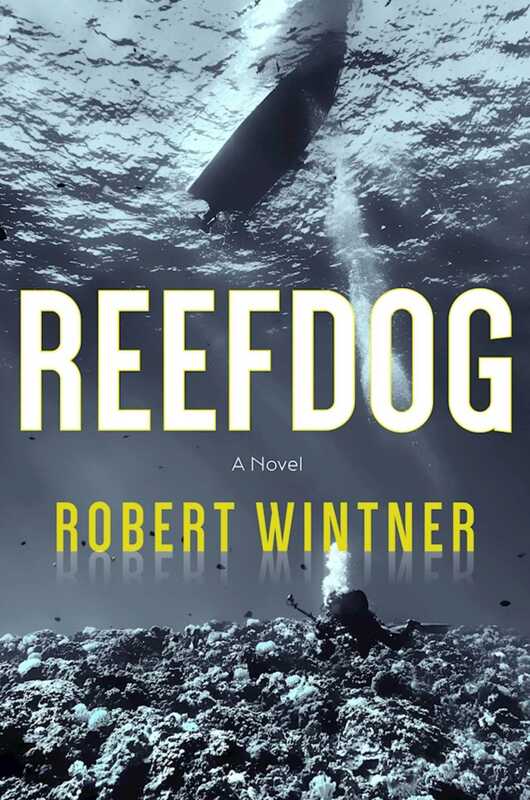 Exotic characters and settings follow a scuba diver from Eilat to Hawaii, through the crisis of middle age. The man struggles to stay afloat, as livelihood and socially acceptable behavior become flotsam, providing marginal buoyancy in a world adrift.